Tijuana officials have shut off services to the sports complex used by migrants since they arrived in the Mexican city, forcing those who want food and water to move to another shelter farther from the U.S. border. The sports complex has housed about 6,000 people who had hoped to be allowed into the U.S.
President Donald Trump has said that Central American migrants who formed caravans to draw attention to their plight will not be allowed to enter the U.S. This has led to a growing crisis in Tijuana, which is just across the Mexican border from San Diego. 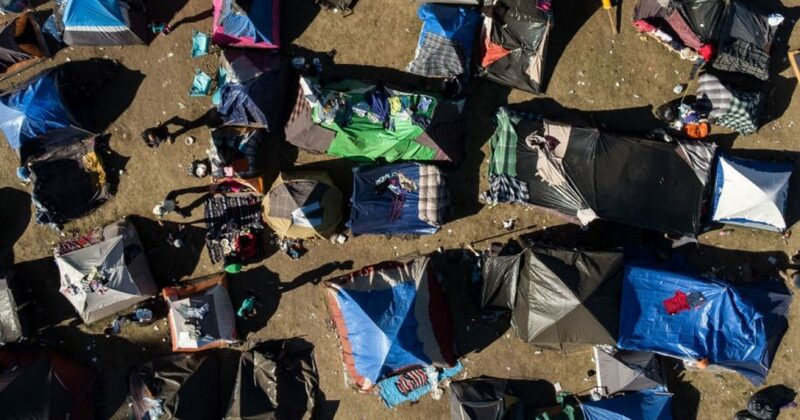 A concert venue has now been cleared for the migrants, but instead of being near the border, is at least 10 miles from crossing points, ABC reported. The shelter at the sports complex was operated by Tijuana officials. The new one will operate under the auspices of Mexico’s federal government. Tijuana Mayor Juan Manuel Gastélum said his city has borne the cost of supporting the migrants long enough. “I’m not going to break public services to solve this problem,” he said, according to Fox News. He noted that citizens who have done nothing wrong are the ones paying the price for the temporary border closure that followed last weekend’s attempt by migrants to storm the border. Did President Trump's policy to stop the migrants work? Gastélum directed his anger at those who organized the caravan. “Those are the real criminals because they’re dealing with the lives of people,” he said. Migrants will not be forced to move, but no more services will be provided at the sports complex, Tijuana officials said. “We can’t let these people stay here because this is a big health problem and we have to clear the area,” said Mario Osuna Jimenez, Tijuana’s social development director, the San Diego Union-Tribune reported. On Saturday, new Mexican President Andres Manuel Lopez Obrador signed an agreement with El Salvador, Guatemala and Honduras to increase jobs in the region as a way to stem the flow of U.S.-bound migrants, The Washington Post reported. U.S. officials indicated Friday that even tougher enforcement will await future migrants who try to cross into the U.S. illegally. Last weekend, migrants tried to rush the border and force their way across, but were turned back. The announcement came after two caravan members were charged for assaulting border patrol agents who tried to stop them from illegally crossing the border, KSAZ reported.